This original, authentic heart-shaped amethyst ring from Apples of Gold Jewelry is a sure to be a favorite, whether at a party, dinner with a loved one, or simply a day at work. 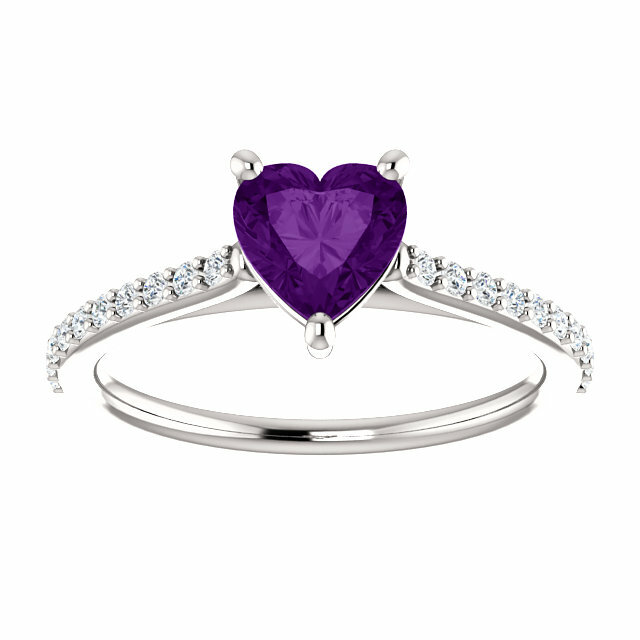 The AA rated gemstone, which is a royal purple amethyst, is cut into a beautiful, lively heart shape stone. Available in 10K, 14K, 18K white gold or platinum, this ring makes a great gift for someone dear to your heart. 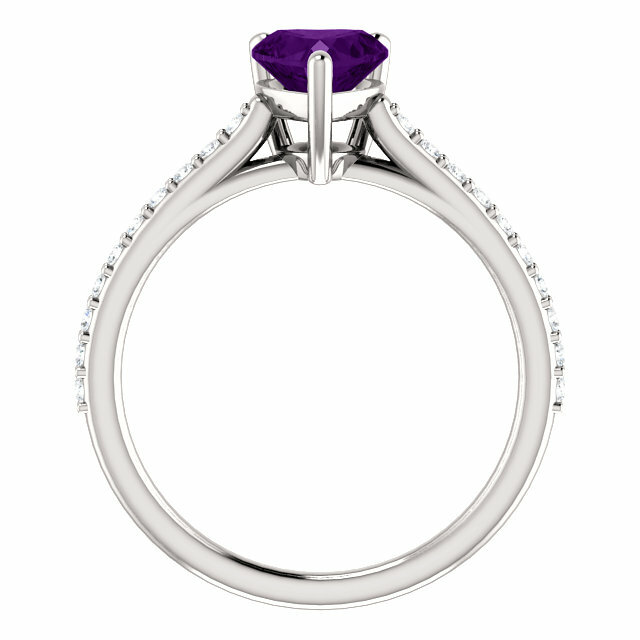 The band features diamonds on either side of the amethyst gem, totaling 1/5 carats (0.20 carats) and rated high in quality for color (H-I) and clarity (SI). 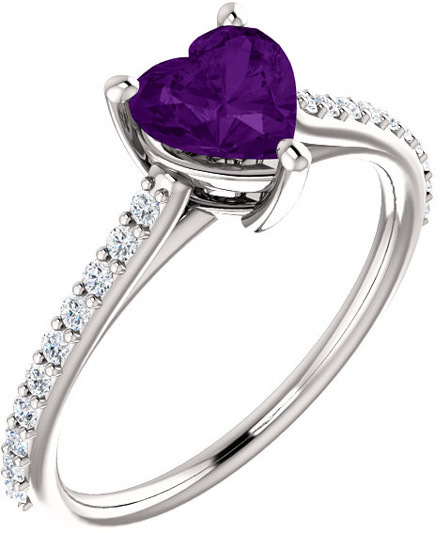 We guarantee our Purple Heart Amethyst and Diamond Ring in White Gold to be high quality, authentic jewelry, as described above.